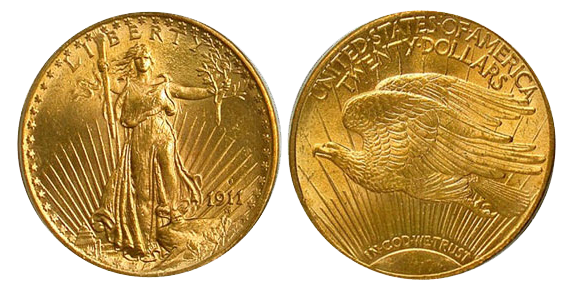 The Saint-Gaudens Double Eagle was introduced in 1907 and struck until all U.S. gold denominations were recalled in 1933. This twenty dollar gold piece has been extremely popular with collectors. Many consider the design to be the most beautiful in the history of United States coinage. The design was the result of collaboration between President Theodore Roosevelt and sculptor Augustus Saint-Gaudens. The president had expressed disapproval of the current circulating coin designs, all of which had been in use for more than half a century. He wanted America's circulating coins to be objects of beauty and expressions of our national identity. He chose America's most renowned sculptor for the task of redesigning the gold double eagle. Saint-Gaudens' new design featured a full figure depiction of Liberty striding forward with a lit torch and olive branch in her hands. The rays of the rising sun and the Capitol building appear in the background. This was a dramatic shift from the previous design found on the Liberty Double Eagle, which featured the static head of Liberty in profile. The new reverse design for the double eagle featured breathtaking view of an eagle in flight with the sun below and rays rising upwards. Originally, the design lacked the motto "In God We Trust", but this was later added between the sun and its rays. The Saint Gaudens Double Eagle was intended to be struck in high relief like the coins of ancient Greece that the President admired. A number of patterns were struck in extremely high relief, followed by about 12,000 pieces in high relief, but finally mass production took place with lower relief dies prepared by Charles Barber. The modifications were made because the higher relief could not be accomplished with a single strike from the coining presses available during the era. More than a hundred years later, the United States Mint produced a one ounce 24 karat gold coin struck in ultra high relief, as Saint-Gaudens had originally intended. The original series was produced at the Philadelphia, Denver, and San Francisco Mints. 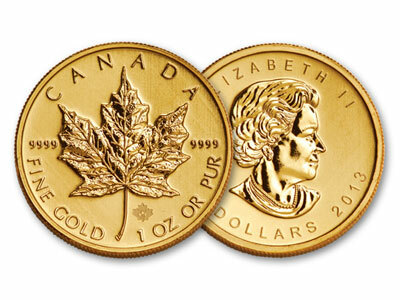 Each coin is struck in 90% gold and 10% copper, with a net weight of 0.96750 troy ounces of pure gold. 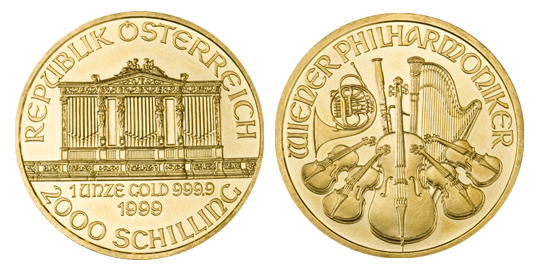 A limited number of proof coins were struck from 1908 to 1915, and are highly prized by collectors. Many dates of the series sell for little over bullion value, due to the fairly high mintages and availability. However, some of the branch mint coins and later issues are extremely rare due to the impact of the mass melting following the recall of gold coinage. A complete set of Saint Gaudens Double Eagles is extremely hard to assemble in any grade, even when excluding the enigmatic 1933 Double Eagle. This famous issue is currently illegal to hold, except for a single specimen sold by special arrangement for $7,590,000. There is an ongoing legal battle about the status of ten additional specimens. 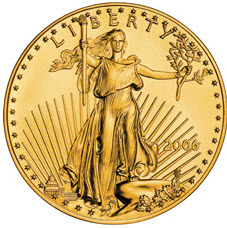 Saint-Gaudens' design has a place in modern coinage through its use on the American Gold Eagle, issued from 1986 to present. The obverse of the coin is taken from the classic double eagle and paired with a reverse design depicting a family of eagles. 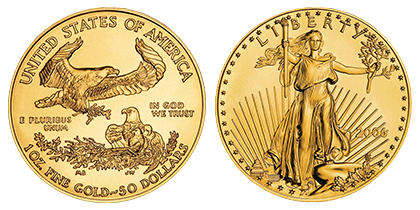 The United States Mint has produced more than 30 million Gold Eagles across four different sizes and bullion, proof, and uncirculated versions. 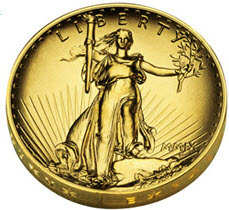 The continued use of the design is a testament to the beauty and timeless appeal of the Saint Gaudens Double Eagles. estors alike. They are also eligible for IRAs.